Peter Drucker, the father of modern-day business management, noted that a business has only two functions: marketing and innovation. Companies that have wholeheartedly embraced innovation — Amazon, Apple and Tesla among them — garner admiration, sales and additional marketing in the form of earned media. And while businesses of all sizes know innovation is an important lever that will fuel their long-term success, many struggle to do it effectively. They get stuck in a rut of doing “what we’ve always done.” Others hop on the latest trends when they are forced to do so, rather than becoming pioneers in the space. No bueno. If you want a business where innovation is the norm, you’ve got to create the right environment — one that’s conducive to change and diversity of experience as well as opinion. 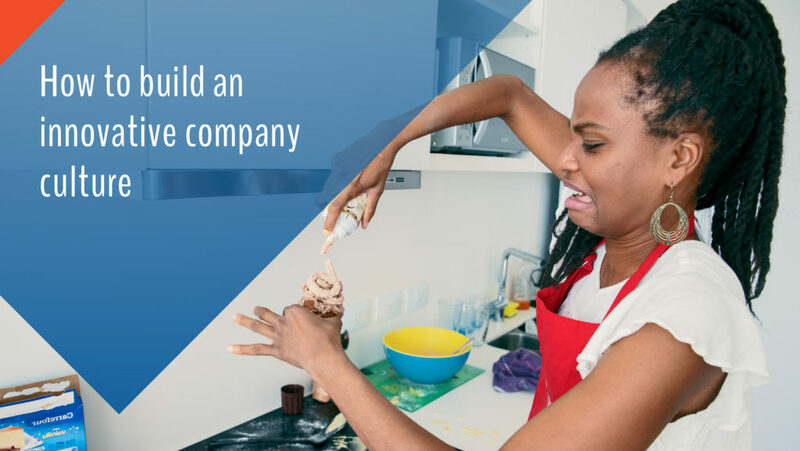 No matter your history, you can build a company that delights your customers with your products, services and experiences on a consistent basis. Here’s how. 1. Create a culture of experimentation. Articles, books, and other resources give the same account: Failure is a precursor to success. When you accept failure as a part of the learning process that helps you achieve your goals, you get more comfortable with this concept. 2. Make idea generation a habit. Innovation begins with an idea. And to exponentially increase the odds of producing a winning idea for your business, quantity trumps quality. Of course, not every idea will be a great one. But a large arsenal of thoughts from which to choose makes it easier to refine your understanding of what your customers want from you. Whenever I write a new article, I generate 25 potential headlines. Pushing myself to generate more ideas forces me to think beyond the obvious and stretch my mind to come up with more creative options. When it comes to innovation, realize that homogeneity is a liability. Steve Jobs knew this to be true. It’s why he encouraged others to branch out to take the road less traveled. “If you’re gonna make connections which are innovative … you have to not have the same bag of experiences as everyone else does,” Jobs said in 1982, as he accepted the “Golden Plate” award from the Academy of Achievement in Washington, D.C. He was 26. Make it a point to step outside your comfort zone. Accumulate new experiences for yourself both professionally and personally. As you look to build a rockstar team, be intentional about seeking talent that brings to the table diverse backgrounds, experiences and ways of thinking. The observations, skills and expanded frame of reference you obtain as a result will prevent you from being satisfied with the status quo. Want to improve the quality of your ideas? Encourage others to tear them down. A capable team of people whose opinions you value will generate constructive criticism to help make your idea better. You’ll produce a much better product or offering than you ever could have done alone. Research backs up this principle. Data from UC Berkeley demonstrates that conflict improves the ideation process. A team whose members cosign everything you say can’t help you or your company become more innovative. Consider setting up regular team meetings to solicit input on how to take an idea from good to great. Create an environment that assures team members their opinions are valued and welcomed. Once you do, they’ll feel comfortable enough to be more vocal about using their expertise to raise the quality standard for whatever your business delivers. 5. Obsess over your customers. Your business exists to serve your customers. The more value you provide, the more they will reward you with their loyalty. When you focus your efforts on knowing your customers intimately, you’ll gain a tremendous amount of insight into how to solve their problems like none other. Talk to your customers every chance you get. Take the opportunity to walk a mile in their shoes so you can develop a deeper empathy for their issues. Seek out pain points at every step of their customer journey and brainstorm ways to improve the experience for them.